Make your patio area look great with concrete services from D.A.Smith Concrete LLC. Whether refinishing your old patio, or having a new one built, give us a call at (877) 755-4121. 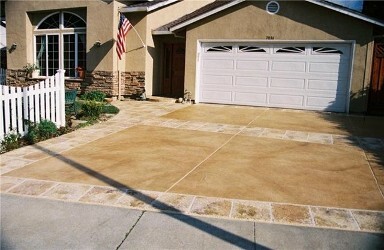 Nothing shows off your property like beautiful concrete driveways leading to your front door or garage. Contact the leaders in the industry in Wildwood, Florida. Contact us for information on concrete contractors and concrete work. Hours of Operation: Monday – Saturday, 7:00 a.m. – 7:00 p.m. When you need concrete work done, trust the job to the professional concrete contractors. Contact D.A.Smith Concrete LLC, in Wildwood, Florida, for a quality job at a reasonable price. At D.A.Smith Concrete LLC, we offer fast and friendly services, combined with our excellent customer service. We understand how busy you are. With that in mind, once we have your vision for your job, we get right at it making sure there is no time wasted. Since 1985 we have been completing jobs in a timely manner, and we'll do the same for you. When you need Driveway, Sidewalk & Slab repairs, Concrete Drilling and Cutting, trust the job to the professional concrete contractors. Contact D.A.Smith Concrete LLC, in Wildwood, Fl.